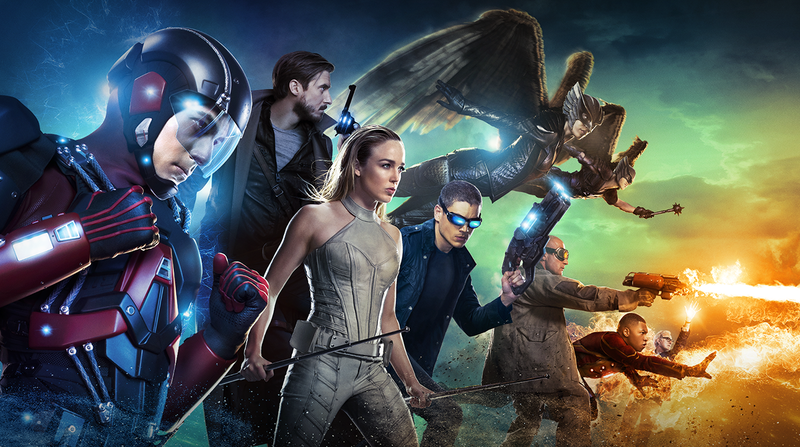 Last month, DC's latest TV series, Legends of Tomorrow, premiered. This new series, which is a spin-off from both Arrow and The Flash, has the distinction of being the first TV show in the Arrowverse to feature a large team. The premise is that Rip Hunter (Arthur Darvill), a Time Master who is from East London of 2166, has traveled to our time to assemble a team to stop an immortal villain, Vandal Savage, from conquering the entire Earth in his time. What makes this team unique is that it consists of both heroes and villains. 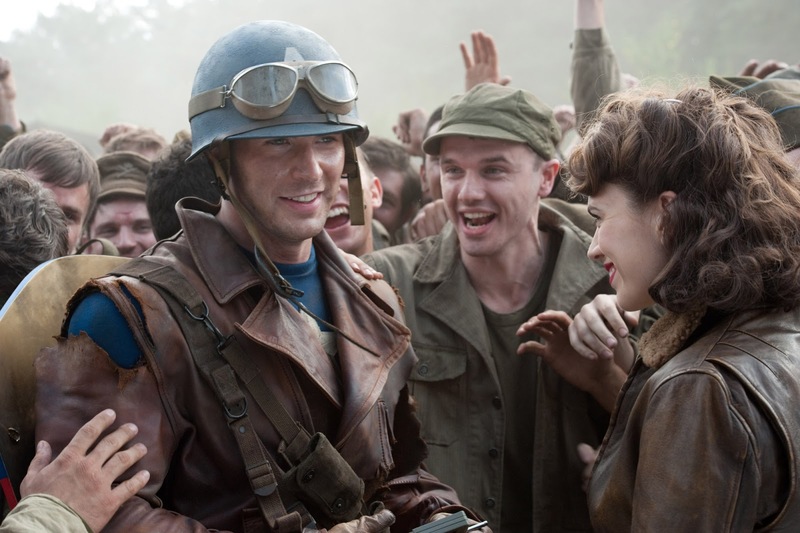 As Hunter gathers his team, he informs them that in the future, they are not just considered heroes, but legends (which inspires the name of the show). The roster of Hunter's team includes: “The Atom”, Ray Palmer (Brandon Routh); “The White Canary”, Sara Lance ( Caty Lotz); “Hawkgirl”, Kendra Saunders (Ciara Renee); “Hawkman”, Carter Hall (Falk Hentschel); “Captain Cold”, Leonard Snart (Wentworth Miller); “Heat Wave”, Mick Rory (Dominic Purcell); and “Firestorm”, who is composed of Martin Stein (Victor Garber) and Jefferson Jackson (Franz Drameh). 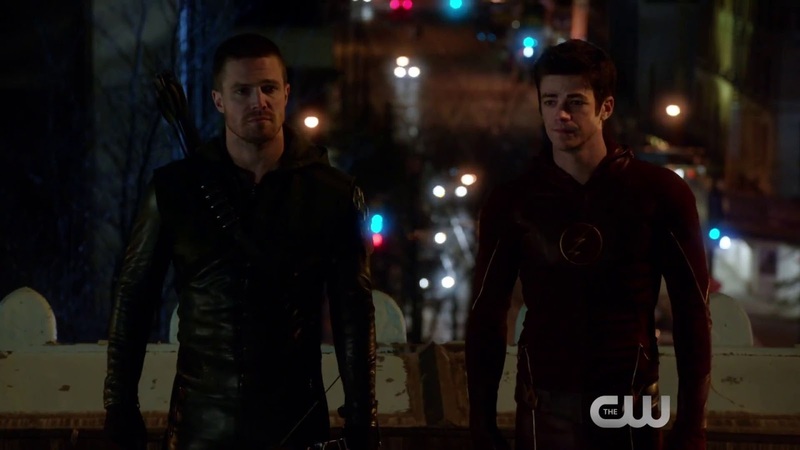 Unlike Arrow and the Flash, the Pilot of Legends consisted of two parts. 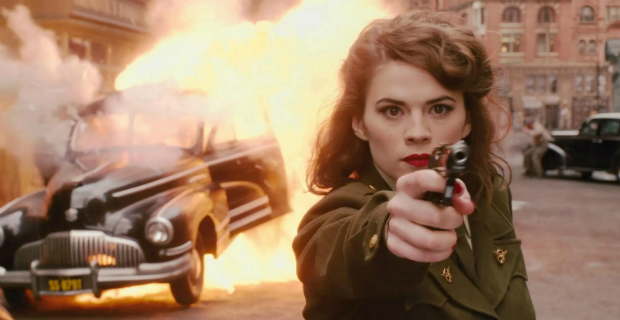 While both episodes do serve to introduce the cast and are definitely serial, each does consist of a distinct story line, and could easily function as a stand-alone episode. With the exception of Rip Hunter, all of the characters have been previously introduced in either Arrow or The Flash. 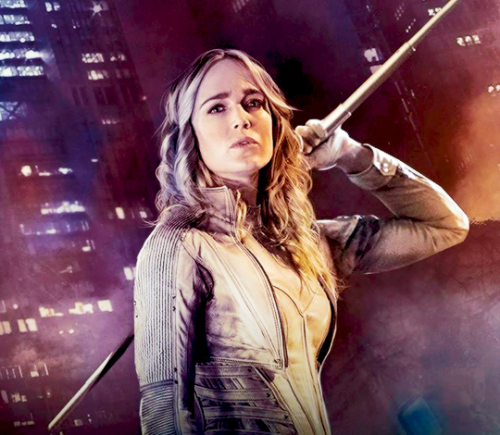 For me, having already had time to get to know some of the characters, such as Ray Palmer, Sara Lance, Martin Stein and Leonard Snart, I began the series more invested in them than I might be otherwise. However, while one of the strength of this series is bringing in characters that have already been established and are fan favorites, having so many characters featured is also one of the weaknesses. While Rip Hunter is obviously the leader of this team, each of the other characters seems to be vying for attention. The problems is, most of these characters would make a good lead character on their own, and the result seems to be that each of them gets a little attention, but none of them gets enough; the result being that the pilot episodes feel bogged down with all the characters. While the series does follow most of the themes set up in the original trailer for the series (see my previous post about the trailer if you need a refresher) a couple of important elements were missing. For one, the team was introduced to Rip Hunter by the Arrow and the Flash in the trailer, while the Flash is completely absent from the pilot episodes, and Green Arrow, who has little more than a cameo appearance, knows nothing of Rip Hunter. 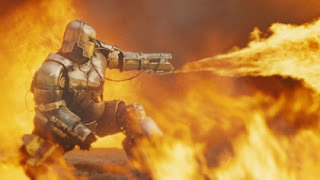 The trailer also has Martin Stein referring to himself as “half a hero,” at least implying that while he was on the team, his other half as Firestorm was not (though Firestorm does appear in at least one of the action scenes). I can easily forgive the fact that Hawkman is absent from the trailer, as this does little to change the set up. And everything else, from Captain Cold mocking the suggestion that he could be thought of as a hero to the main mission of stopping Vandal Savage from taking over the world at some future time to the team being considered “Legends,” are all there. I was pleased with most of the special effects, which were up to par with those seen in Arrow and The Flash. The one exception to this was with the Atom. His regular flying and fight scenes were up to standard, though I found most of the scenes showing him changing size to be low quality and unrealistic looking compared to the other special effects. 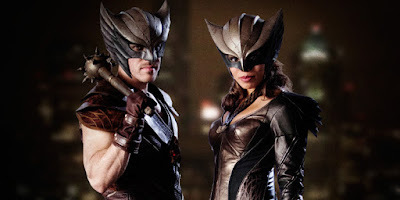 I did enjoy the chemistry between Hawkgirl and Hawkman, which continued smoothly from their introduction to one another in this season's Arrow/Flash cross-over. I also found Martin Stein, Captain Cold and Heat Wave to be very true to their characters as they had been established on The Flash. 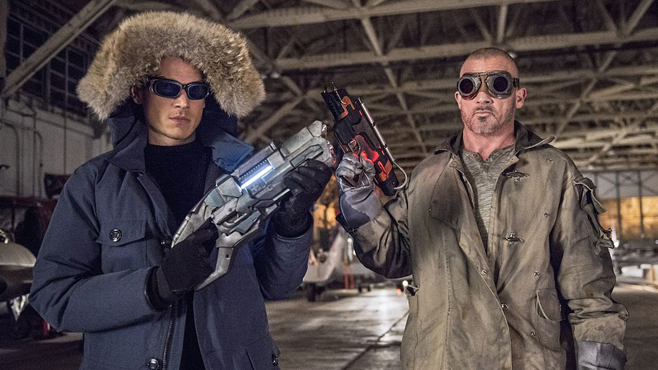 I especially like the way that villains Captain Cold and Heat Wave initially clash with the heroes of the team, and I hope that this is carried out longer, rather than being too quickly resolved. add an interesting dynamic to the team. I was uncertain about how true to form White Canary's characterization was. She seemed different than the way I remembered her when she was a recurring character in the second season of Arrow, though I will grant that her death and subsequent resurrection may have had quite some effect on her personality. though she has been through a lot. I found myself disappointed, however, in how the Atom was characterized. For the most part, the humorous, happy-go-lucky billionaire scientist/inventor seemed to be missing. Granted, he has gone through his own drama, having been missing and presumed dead for six months. But if he was able to remain optimistic after the murder of his fiance (as was depicted in Arrow), I don't believe his six month imprisonment by Damien Darhk would do that much more to get him down. of his humor and cheerful attitude we saw in Arrow. Without giving them away, I will say that there were a couple of plot twists (one in each episode of the Pilot) that I did not see coming. While the first one I think would have been better served by being built up for at least a few episodes, I found myself both shocked and impressed with the second one. Despite having mixed feelings about it, I do see it as something that definitely has the potential to strengthen the series. I do have to admit that the Pilot episodes of Legends of Tomorrow did not have me hooked in the same way that the pilots of Arrow and The Flash did. And I think part of it may be that it was so hyped up and had so much build up in the current seasons of Arrow and The Flash that it may have set the bar higher than they could realistically reach. I will definitely still be following this series, and I have hopes that the quality improves as we see the team get more established and as the characters begin to gel. This series definitely has a lot of potential, and although it didn't deliver quite as well as they could have with the Pilot, I have hope that the series will get better as the season goes on.